Spacious, comfortable caravan. One double & one twin bedroom. Dining room table & 4 chairs. Well equipped. spacious decking with chairs and table.Parking available in front of caravan. 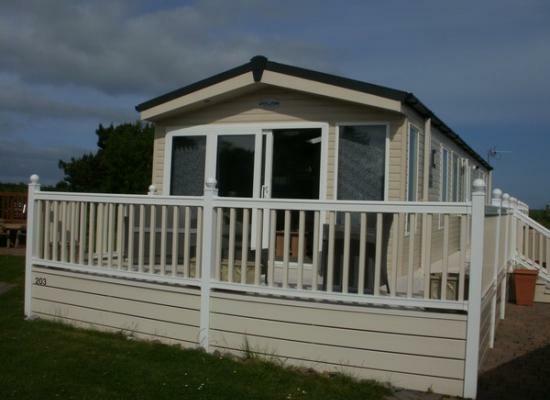 Luxury family caravan at Dinas Dinlle on the beautiful coast of North Wales, nr Caernarfon. Decking on three sides, views over farm land to mountains. Easy driving distance to Snowdonia, Welsh Highland Railway. Ten mins stroll to sandy beach. Dinlle Caravan Park is situated on The West Coast of North Wales and has spectacular views of the beautiful Snowdonia mountain range. Just a short distance from Dinlle Caravan Park is the golden sandy beach and the town of Caernarfon. Dinlle Caravan Park provides a great base for a family holiday in North Wales with a good selection of on-site facilities to enjoy throughout your stay. The facilities include an Outdoor heated swimming pool, family bar, games room and 2 Children's play areas. 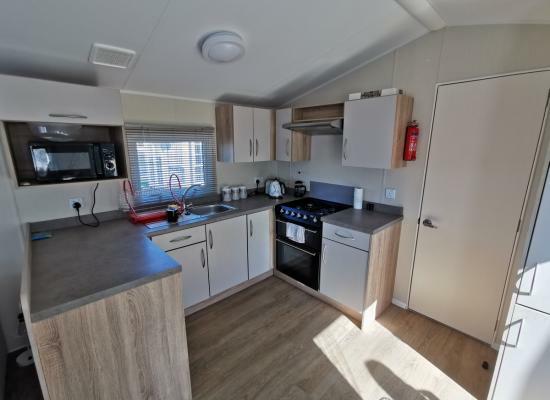 Dinlle Caravan Park has a wide range of local amenities to enjoy throughout your holiday. These include Scenic Walks, Amusements, Pubs/Clubs, Takeaways, Fishing, Historical Attractions and much more.